Many pets were moved from LA and MS to other states due to Hurricane Rita's approach. 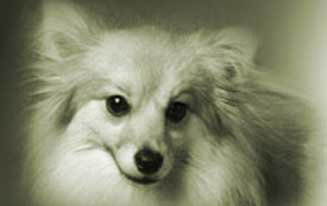 And, many states' pet-shelters offered to help foster Katrina pets until they put them up for adoption if owners do not claim them (this date varies), so many pets have been moved to locations throughout the U.S. All pets taken to out-of-area shelters should have been given an ID number and tracking number and posted to petfinder.com. But, Hurricane Katrina and Hurricane Rita created severe conditions that made it extremely difficult to locate and rescue animals, so please be aware that the identifying/tracking process was also extremely difficult. The sites are listed by state, but in no particular order under each state. Most pets are pictured on petfinder.com, but some shelter sites have also posted photos, taken at their shelters. Please go to each Website to see which shelters post photos, as this changes frequently. UPDATE: All Katrina animals are on petfinder.com. There is a 30 day hold until they make the animals available for adoption (about 2 weeks left on that hold). Some Katrina animals have been relinquished by their owners and are up for adoption. They have about 90 cats/dogs. Note: Housed 7 cats from Katrina. 5 have been claimed. 1 is FIV+ and one will be held until early November before being placed up for adoption. Cats two, photos, expect to receive more. UPDATE: All their animals came from St. Francis Sanctuary, LA. All are up for adoption. They are either animals that were already at St. Francis before the hurricane, or Katrina animals that were relinquished by owners. Worked with Riverside Co. Animal Shelter. Has dogs, photos on Los Angeles SPCA website. They received 15 dogs and have included pictures on their site. They also list location of find when available. To find these pets on their site, link onto, middle of the page, above the WELCOME area where it says, "We currently have 15 dogs from the hurricane Katrina disaster." This shelter received 70 dogs on two different deliveries (9/16 and 9/21). They have good photos and descriptions, along with locations. Animals are being held in foster care until December 31, 2005. From their site: These dogs (and goldfish!) have been brought to Hopalong from the New Orleans area in the wake of Hurricane Katrina. Hopalong is working hard to help locate the animals' original owners. All owners have 30 days to claim their pet before the animals are put up for adoption. Some photos. Click on Katrina orphans. Site says: If you think you recognize your dog in this site please know they are waiting safe and sound to be reunited with you. We have given our New Orlean's rescue dogs temporary names so don't be confused if you see your dog with a different name. From their site: The East Bay SPCA has recently received dogs and cats displaced by Hurricane Katrina. Each pet is photographed, then listed on Petfinder.com, available to victims searching for their pets. We are following up with all "found" information we have from the agencies who rescued them. They ask that you please respond via email so that they can keep their telephone lines open. No photos. They have Katrina snakes, two already reunited with owners. No turtles. Animals were centrally processed after airlift before going to area shelters. 10 dogs at Baldwin Park facility, will be put up for permanent adoption after Dec 31 '05. No photos. 550 N. Van Ness Ave. Worked at Lamar-Dixon Expo Center with Pit Bulls. Pit Bull advocate group. Brought several dogs back to California. Caring for 7 Katrina pets. Animals on Petfinder and Petharbor. 10 dogs, 7 cats. Photos at website. 10 dogs, 1 reunited w/owner. Foster care/Oct 15. Avail. for adoption Dec. 31. Avail for adoption after Dec 31. No photos. Unknown # of pets at shelter. Several animals in care of vets in Fremont. Contact Marin Co. Humane Society about adoption. UPDATE: All of their pets are listed on Petfinder AND some are on their website with more photos. Has three dogs. No photos on their website. Dogs in foster care till 12/31/05. Katrina pets. Some photos on website. Has 7 cats from Katrina in foster care.No photos on their website; animals listed in petfinder.com. Has 3 dogs, photos online. UPDATE: New Leash on Life has more pictures on their site - dogs and cats. Pulled animals from Lamar-Dixon as late as October 12. Took 40 Pit Bulls from Lamar Dixon on 10 October 05. Are housing at their facility and fostering as necessary. As of September 28, RCHS along with a coalition of San Diego county shelters has brought over 100 dogs to San Diego County. Rancho Coastal Humane Society has taken 10 of those dogs. Animals in fostercare until Jan 1’ 06. All in petfinder. 4 families reunited with pets so far. One photo of Katrina pet on homepage. Please see site, and/or call shelter for more information. Info: Received 10 dogs and 11 cats. More than 80 dogs. Available for for adoption mid-Oct. There are photos on the site. They have about 85 Hurricane dogs (7 already reunited!). Email with lost dog inquiries. All Katrina dogs are on Petfinder but not listed on their website. Notes: Has owner-surrendered dogs and cats. 117 pets taken there, from Katrina and Rita. Contact: Dr. Judy Levy. All animals in foster care & petfinder. Out of 90 cats, 30 are either claimed by owners or relinquished for adoption. Remaining 60 cats in foster care, at least till end of the year. Also have 15 dogs and 28 rabbits in Gainesville facility. All animals listed on petfinder.com. - All animals in petfinder. 200 New Orleans animals. Dogs are mostly pit bulls, and they have many cats. This organization coordinated a shipment of animals from Lamar Dixon on September 21. All animals listed on petfinder.com. Some animals in foster care. Some receiving treatment. All pets appear to be listed on petfinder will be fostered for 30 days before adoption possible. Five van loads of animals were taken there October 6th, more soon to arrive. Currently, only pre-Katrina shelter & owner-relinquished animals. May have foster-care animals in future. Photos of Katrina dogs on website. Some photos available. Dogs on petfinder. Most are adoption-ready animals (owner relinquished, pre-Katrina shelter animals). Have 9 Katrina dogs, some photos. Has animals, all posted on petfinder. Note: Has 3 dogs, 1 was reunited with owner, 2 were owner-surrendered. Photos of Katrina pets, trying to find owners. Prefers email communication. Has some animals, currently undergoing treatment.. Think they came from Lucedale, MS. Note: all the cats are/will be in petfinder.com for one month before being adopted out. This organization may be helping with the rescue of cats. From their site: We were able to rescue 9 Rottweilers from Louisiana,males and females between the ages of 1-5. Photos of all, on link above. All animals are listed on petfinders.com--40 dogs, 9 cats; some photos on the above link. adoption at the end of October. Owners have till Dec. 31 to claim them. Aussie Rescue of MInnesota Inc.
From their site: If you have lost your dog or cat in the southern Mississippi area due to Hurricane Katrina, please read through the dog breeds and cats listed and click on the type that most closely resembles your pet. The link will take you to a page with pictures and brief descriptions of the animals we have rescued. Info: brought back dogs, photos on website. Has 20 dogs from Katrina. At least five dogs rescued from Louisiana. Has a few dogs in foster care. "We have about a dozen animals from Katrina: 7 dogs and some cats. Animals will be held for three months"
Took 50 dogs from Louisiana on October 1st. All of the Katrina pets are listed on petfinder.com. All pets listed on petfinder.com. NSAL coordinating with DAD's Pet Care airlifted 38 cats and 58 dogs rescued from shelters already destroyed by Hurricane Katrina on Sept. 22. North Shore Animal League America will have rescued 316 pets from Hurricanes Katrina and Rita and sent multiple Emergency Response Teams into the affected areas. Over 190 of the rescued animals have already been adopted from the League. All animals believed to be owned will be photographed, added to the petfinder.com website and placed into temporary foster homes giving their owners time to claim them. Pet Adoption League of New York Inc. Shelter workers worked at Lamar-Dixon and took animals from that location. Chemung County Humane Society & Society for the Prevention of Cruelty to Animals Inc.
Info: From their website. On October 16th, they transported 21 displaced dogs and cats from St. Bernard Parish. Some animals may be placed into foster homes. The animals will not be available for adoption until after November 5, 2005, to allow time for the original owners to claim their pets. 10 Beagles brought to Triangle Beagles in NC on 9/26. Some photos. 200 rescued Katrina cats and dogs, details and pictures. Link onto CLICK HERE FOR KATRINA LOST PETS on their site or go to direct link, above. To contact the shelter, please call (614) 462-4360 ext. 9. 36 dogs brought back, rescued from New Orleans area. Animals listed in petfinder.com. Many photos on site. Note: according to website, 35 rescued dogs and cats will receive medical attention while in foster care, then adopted to permanent homes. Note: Has two Katrina dogs listed on Petfinder. Is caring for several Katrina dogs. Click on 'dogs available for adoption' to see Katrina animals they are caring for. Note: According to their website, they have 5 dogs, 1 kitten. Holding dogs until Oct 15 for owners to claim, currently in foster care. Several animals from the Katrina areas were brought to PIttsburgh - contact shelter for more information. From their site: PAWS of Austin is taking in dogs from Katrina evacuees and those who were left behind. Website has photos of Katrina cats. Photos of Rottweilers rescued from Katrina. NOTE: Several animals being boarded for owners in San Antonio. Others were surrendered by owners. The shelter has received many animals from Hurricane Katrina. UPDATE: They have no Katrina animals at this time, bu they do occasionally receive information from people about lost or found beagles from the hurricane areas and will be more than willing to help anyone looking for their dogs in any way they can. Information from shelter: We are holding owned pets (those with collars/tags/chips) for a minimum of 60 days, as well as doing our best to track down the owners of those pets by every means possible. Animals that are classed as "stray" are being held 30-45 days before being put up for adoption. They currently have 2 pigs in foster care. From person in contact with this shelter: All the pets were identified and registered, would be going to foster homes for at least 30 days before adoption. Can call to see what pets they have, if have petfinder ID numbers, etc. May have some Katrina pets on the way, and may have information about cocker spaniels from Katrina. Very active in animal rescue efforts. Staging area in Raceland, LA. Some animals will be brought back to Washington for foster care until owners are located. According to the Midwest Border Collie Web site they plan to take Katrina Border Collies to foster. Suite 254, 268 Lakeshore Rd. E.
Note: They have 3 dogs in foster care: Katrina, Tiggy, and Dixon. Tiggy will be reunited with her owner! Others will be in foster care till the end of November.